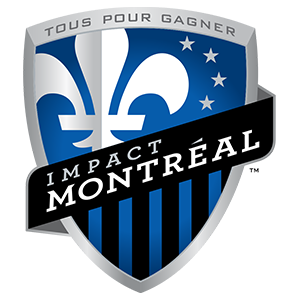 The Montreal Impact promotes responsible drinking and positive fan behavior at Stade Saputo. The Impact Fan Code of Conduct and details of the Impact alcohol management plan that appear below ensure that fans have a safe and fun experience. Spectators who consume alcoholic beverages shall do so in a responsible manner. Spectators who fail to comply with this Code of Conduct are subject to ejection from the stadium premises or remanded to the proper authorities and result in the revocation of ticket purchasing privileges. * Stade Saputo and Montreal Impact management reserve the right to modify the Code of Conduct, Rules & Regulations, Prohibited Items List, and policies or procedures at anytime without notice to spectators. The following Rules & Regulations are in place to ensure that everyone in attendance enjoys the game, creating a unique atmosphere at the stadium. Our staff will proactively enforce these Rules & Regulations and any violation may result in immediate ejection from the stadium premises and/or remanded to the proper authorities and/or result in the revocation of ticket purchasing privileges. Thank you in advance for your cooperation. Spectators shall not interfere with the progress of the game by entering the field area, by throwing objects onto the field or interfering with the event in any fashion. Spectators will not exhibit any obscene, indecent, political or insightful messages on signs, clothing or other material. Food and beverages purchased outside the stadium are not allowed in to Stade Saputo. For your convenience, there are several concessions throughout Stade Saputo as well as water fountains. All Montreal Impact ticket holders waive their rights to the use or broadcast of their image(s) taken inside or within the vicinity of Stade Saputo and Olympic Stadium and authorizes the Régie des installations olympiques, the Montreal Impact, the visiting club and its agents to use their image in video, photography or any other reproduction wholly or in part, from the event in question.